If you are a woman with a fashion sense who keeps herself informed about the latest trends, chances are you have come across the newest addition to the fashion industry: waist trainer. In addition to becoming a fashion statement of today, they have also made quite an impression in the fitness club. Before blindly diving in to your new waist training regime, it is probably a good idea to do some research as to how to go about it in the best manner to get the most out of your waist trainer. Beware! If used incorrectly, waist trainers can do more harm than good. If, however, used correctly and according to the instructions, they can do wonders. If you want to learn how to pursue your waist training regime safely and effectively, you have come to the right place. Keep reading and we will give you an extensive step-to-step guide on how to use your waist trainer. Selecting a best waist trainer is the foremost and probably the most trivial step involved in waist training. To start off your regime on the right foot you need to choose one that matches your body shape, size and style perfectly. Getting a size that is too small will produce adverse effects on your health. Getting a size that is too big will not produce the desired results along with being super uncomfortable to wear! Waist trainers come in different lengths. You will have to pick one that matches the length of your torso. It is very important that you start slow. Some women choose to ignore this point and suffer the consequences. The first time you put on your waist trainer, do not fasten it too tightly. Fasten it just enough that it fits perfectly and is not uncomfortable to wear. Also note that during the first couple of days, do not wear your waist trainer for more than 2 hours each day. When your body has seasoned to the change, increase the hours and tighten the laces or the hooks. It is VERY important to note that this must be done gradually! Increase the number of hours from 2 to 6-8 each day gradually over a course of 12-15 days. Tighten it only when the current adjustment of hooks feels loose on your body. It will feel loose over time because of the shapening of your torso by the waist trainer. This is a signal for you to tighten your hook to the next level. 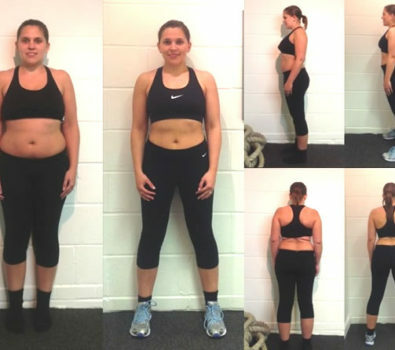 Tightening it too much too soon will not only harm your trainer but your body as well. Similarly, wearing it for extended hours right from the beginning can be detrimental to your health. Some people are so impatient to see the results that they wear it even during sleep. This however, is not advisable at all. 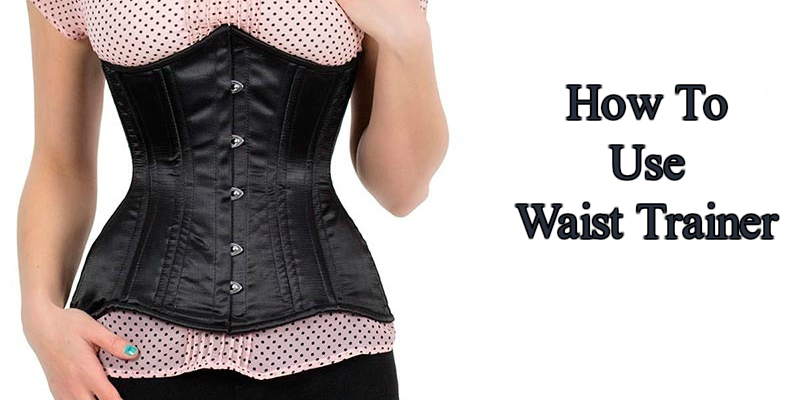 Waist training for few hours during the day is sufficient to achieve your results. Waist trainer will not produce favorable results if used alone. It needs to be complemented with a healthy diet and an exercise routine. Waist trainer can help you keep a check on your calorie intake if worn during meals. It will prevent you from overeating by making you feel fuller faster. The lesser the calories consumed, the more your body fat will be burned and the faster you will lose weight. Not all waist trainers can be worn during exercise. The ones that can, like the latex waist cinchers, stimulate sweating around the waist area thus making the weight loss process faster. These waist trainers are built to enhance the results of exercising. The best option is to hand wash it with cold water. Avoid excessive scrubbing; gently wipe it with some soap, sponge and water. You can also wash it in the washing machine but in gentle cycle and with cold water. Never put your shape-wear in the dryer. Always air-dry it. Let it dry completely before putting it on. Putting on a waist trainer that is not completely dry can develop molds or cause it to break apart. If you are using it regularly, you will definitely find it more convenient to keep more than one in your closet. This way you can rotate between them. Also, when you have washed one, you can let it dry completely while using the other one in the meantime. To sum it all up, there is no better way to reduce your waist line than by using waist trainers. With proper and dedicated use of waist trainers you only have to wait a few weeks before looking at the reflection of a new, slimmer version of yourself in the mirror! If you don’t believe me, buy your waist trainer today and find out for yourself! In addition, we also list the best waist trainer for men.